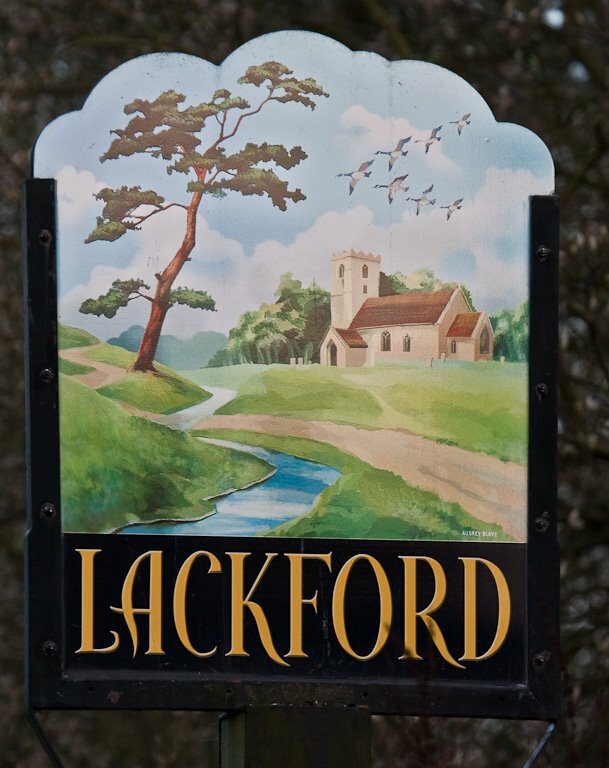 The name Lackford is believed to be derived from the place where wild leeks where found rather than a ford over the River Lark in whose valley in lies. The parish contains the Lackford Lakes nature reserve and SSSI, created from reclaimed gravel pits. The Black Ditches run to the west of the parish and mark the parish boundary with Cavenham in places. These are believed to be the most easterly of a series of early Anglo-Saxon defensive earthworks built across the Icknield Way. Lackford Hall is believed to have been built around 1570 by the fourth son of the squire of West Stow Hall. The hall is a three chimeyed timber-framed, Medieval hall house containing church and abbey stone reclaimed following the dissolution of the Roman Catholic Church by Henry VIII. The Hall is believed by local historians to have been a hunting and fishing lodge. Lackford Lakes Barns are an adjacent quadrangle of barns built from local timber and flint around 1839, based upon engravings in the windows.